SpringML Inc. (“SpringML”), a leader in machine learning and advanced data analytics services, is proud to announce that it achieved Specialization Status in Data Analytics as part of Google Cloud’s Partner Specialization Program. “We are proud to receive this recognition from Google and deliver this capability to our clients. Our expertise has been built through delivering analytics solutions to our customers in the healthcare, technology, media, and energy industries,” Charles Landry, CEO, SpringML. At SpringML, we are all about empowering ‘doers’ in companies make smarter decisions with their data. 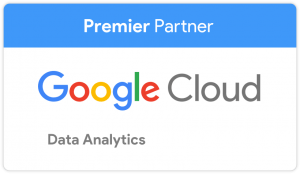 Our expertise brings together tools from Google Cloud Platform to integrate, analyze and visualize data. Some of our recent projects include analyzing petabytes of data for a reputed social media company. This involved ingestion of real-time events generated by millions of users and storing it in BigQuery, and then performing analysis to understand customer growth and retention patterns. Other projects also involved use of GCP tools like Dataflow, Dataprep, PubSub, etc to build a scalable and integrated analytics solution. “SpringML’s data analytics journey with Google began as a launch partner for Dataflow in Aug 2015. Working with the core Google team responsible for Dataflow provided us with a unique opportunity to understand the vision and in-depth technical capabilities of the platform,” Girish Reddy, CTO, SpringML. As part of this journey, we’ve contributed enterprise connectors to the community as well as built some large scale solutions that were showcased during Google Next keynote in 2017. This strong foundation built over time enables us to rapidly deploy high-quality data analytics solutions for our customers. SpringML is a premier Google Cloud Platform partner with specialization in Machine Learning and Big Data Analytics. We have implemented predictive and analytic solutions at several fortune 500 organizations.